Stacia & Chris are engaged and their engagement photo shoot was off the charts adorable! 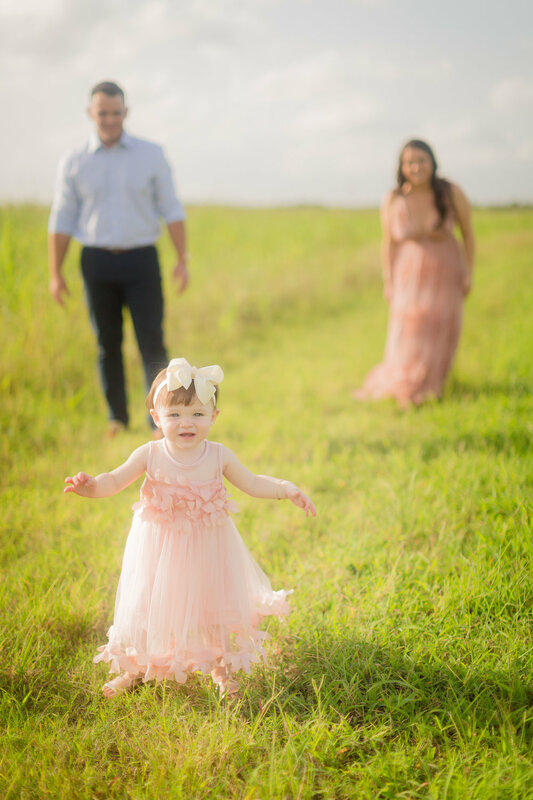 The bride and groom to be brought along their sweet little girl for their engagement photo shoot that took place in a lush green field in Kendall. The happy family held hands, embraced, and danced through the the wild grass together. Stacia and her little even had ‘mommy and me’ matching dresses in a creamy pinkish peach hue that were covered in flower petals and floral appliqué! Our bride and groom to be brought along one very small prop to their engagement photo shoot that has one very big meaning. A single strand of rope tied into a loose knot and held together by each of their hands to symbolize their love and commitment to one another, how sweet is that?! 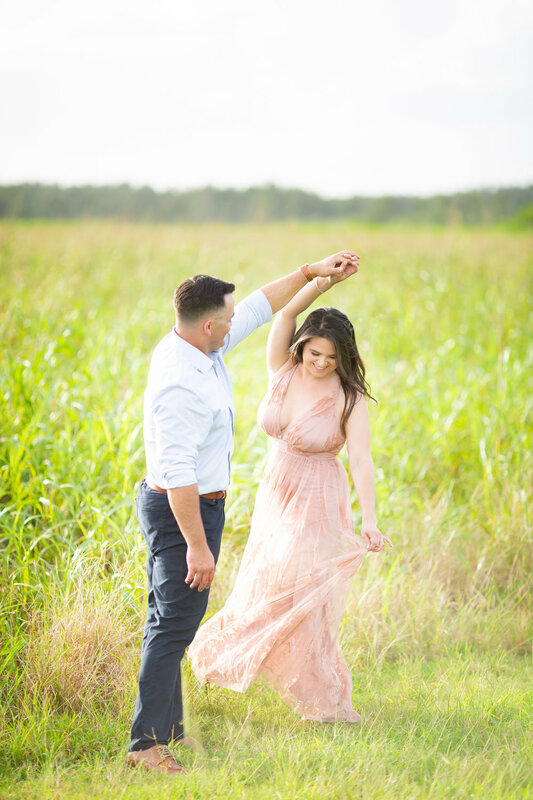 When it comes to shooting your engagement photos in the Miami area there is never a shortage of picturesque locations or landmarks for us to choose from!! This sprawling field in the Kendall area was so breezy and lush that it put our family front and center. It’s so easy to see the love that Stacia and Chris have for one another and the joy that they share for their little girl! Stacia & Chris are destined to have an awesome wedding day celebration at ‘The Venue Fort Lauderdale’, which has an Epic Ballroom, literally the reception hall has the word epic built right in! How cool is that?! The big day is just around the corner and it’s all going down in February of 2019. Keep scrolling to see more of Stacia & Chris’s engagement photo shoot in Kendall! Still searching for a Miami Engagement photographer that can capture your love story? Hit the >> contact button << and let’s chat!